Book A Cuba Cruise And Save! This is not a cruise. This is a culture craving, classic car coasting explore-a-thon in one of the world’s most unique places: Cuba. Now through May 31st, you can save $50 instantly when you book on Majesty of the Seas® or Empress of the Seas on Royal Caribbean. BOGO50 — Your will save 50% on your second guest. Our Cruise Specialists are available to assist you in planning your cruise. $99 REDUCED DEPOSIT FOR A LIMITED TIME! In order to disembark in Cuba, you will need to purchase a shore excursion through MSC Cruises as part of the People-to-People program. This offer is being extended through June 30, 2017. Book a Balcony stateroom on any 7+ night sailing and receive a Complimentary Specialty Dinner for Two*. Book a Junior Suite or above on any 7+ night sailing and receive a Complimentary Specialty Dinner For Two PLUS One Complimentary Spa Treatment. Reserve by December 31,2017*. Choose any ship, any sailing. *Combinable with all promotions. Sailing Window: All sailings departing on or after July 22, 2017. Offer excludes China departures. Kids Sail Free Bonus: Guests 12 & under sail free on 5 nights or longer Bahamas and Caribbean sailings departing Sep. 1, 2017-May 31, 2018. Excludes sailings departing 11/17/17-11/27/17, 12/17/17 – 1/8/18, 2/15/18-2/20/18 and 3/10/18-4/1/18. MIAMI, FL, February 15, 2017 – Oceania Cruises, the world’s leading culinary- and destination-focused cruise line, announced an additional series of journeys to Cuba in the autumn of 2017. Ranging in length from six to thirteen days with departures from Miami in November and December, these voyages include the line’s first calls to Cienfuegos and Santiago de Cuba, in addition to Havana. These new itineraries will open for reservations today, February 15, 2017. All voyages and excursions will fully comply with existing U.S. Federal Regulations and the most recent pronouncements from the Office of Foreign Assets Control (“OFAC”) of the U.S. Department of the Treasury. 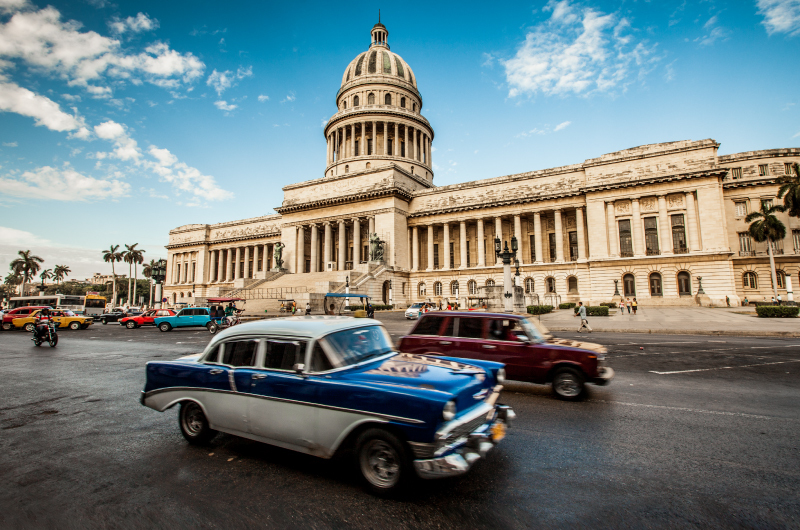 Sailing to Cuba with Oceania Cruises is a journey into the extraordinary. Aboard the acclaimed Insignia, there are only 684 privileged guests who are catered to by 400 professionally trained staff. Travelers will indulge in the Finest Cuisine at Sea in four open seating gourmet restaurants where they will dine on continental specialties along with the bold and vibrant tastes of Cuba. Each of these voyages will feature a wide array of authentic Cuban dishes that were born from generations-old family recipes. Adding to the enriching nature of the journey, authoritative and engaging experts will deliver lectures on Cuban history, art, and music or perhaps you’ll join a group of your fellow travelers in a Cuban staple, the game of Dominos. Throughout the journey, Insignia is a bastion of modernity and old-world comfort. Her 342 staterooms and suites are elegantly appointed and 70% of them have their own private teak veranda, the perfect perch from which to take in stunning Caribbean seascapes. Panoramic Caribbean– 10 days from Miami visiting Havana (two days), Roatan, Santo Tomas, Harvest Caye, Costa Maya, and Nassau. Departs November 14th. Hemingway’s Hideaways – 7 days from Miami visiting Key West, Havana, Cienfuegos, and Santiago de Cuba. Departs November 24th. 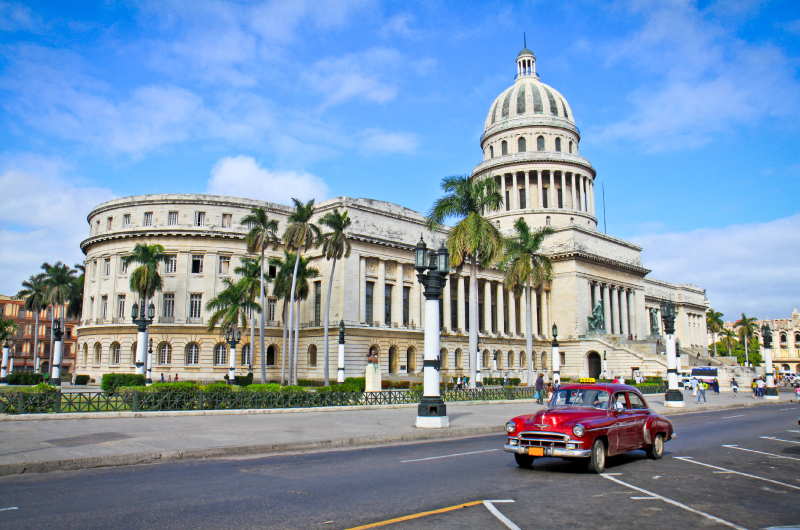 Timeless Cuba– 7 days from Miami visiting Havana (two days), Cienfuegos, and Santiago de Cuba. Departs December 1st and 8th. Vibrant Vistas– 6 days from Miami visiting Key West, Havana, Cozumel, and Great Stirrup Cay. Departs December 15th. Holidays in the Tropics– 13 days from Miami visiting Key West, Havana (two days), Roatan, Santo Tomas, Harvest Caye, Costa Maya, Cozumel (two days), and Nassau. Departs December 21st. The door to Cuba’s soul, Havana captivates with its larger-than-life culture, sultry rhythms and weathered beauty. Take a relaxing stroll along the evocative Malecón, the quintessentially Cuban thoroughfare and get lost among the Baroque facades and colonial cobblestone alleys of Old Havana. Visit the grandiose Capitolio Nacional and explore the world-class Cuban art collection at Museo Nacional de Bellas Artes, which showcases everything from colonial-era paintings to countless masterpieces from Cuba’s famed Vanguard Period. Enjoy memorable explorations such as touring one of Havana’s venerable old cigar factories for an inside look at the birthplace of these world-famous cigars and the centuries-old process of how they are made. Book Oceania Cruises easily with one of the below options. Experience the rich history and culture of Cuba with Delta Vacations. Havana, the heartbeat of Cuba, offers an amazing Cuban art and music; reward your palate with authentic cuisine; take in the aroma of world-famous cigars; or take a walking tour through the backstreets of storied Old Havana. SkyMiles® Members earn 1,000 bonus miles per person, in addition to credited flight miles, with a flight and hotel package. Embark on an unforgettable, enriching Cuba program, with full days of meaningful interactions and people-to-people connections, revealing the spirit of this fascinating, culturally rich island nation long off-limits to American travelers. This small-group journey combines A&K's signature expertise with unbeatable value. You'll join a group of no more than 24 guests on a guaranteed departure led by an experienced and knowledgeable A&K Tour Director. Meliá Buenavista All Inclusive Royal Service & Spa in Cayo Santa María, Cuba. A luxury All Inclusive beach and Royal Service resort for adults. Interested in this tour? Please contact us below to get started.